FREE MetaStock Formula | MetaStock Indicators, Explorers And Systems. Welcome to the largest MetaStock Formula Index online. This index is ever-growing so make sure you visit regularly. Within these pages you will find a list of some of the most useful Metastock formula available. It includes both my own personal formula taken from the Metastock Programming Study Guide and formula collected from Equis International, Metastock forums, and a collection of trading magazines. Most of these Metastock formulas have been emailed to us and as such it is our belief that they are in the public domain. Where known, the author is noted and an email contact provided. If your Metastock formula has been supplied to us and used without permission then please contact us to arrange for immediate removal. Unfortunately I don’t provide any support for the Metastock Formula within these pages. It has simply been my objective to create a useful Metastock formula Index. It is now your task to find the formula that will suit your needs. 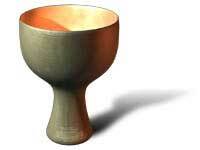 There is no "Holy Grail". I hate to say it but it is true! Unfortunately, convinced of MetaStock’s power, many Metastock users undertake a determined search to find the perfect indicator(s) that will lead them to trading success. It is, for them, a silver bullet that will slay the market. Somehow, the indicator is supposed to correctly predict a security’s price movement on every occasion. Its perfect entry is supposed to produce financial results that many people only dream of. However, most successful traders have come to realise that no such perfect indicator exists. It doesn’t today, never did, and never will. There is no Holy Grail of trading. There is no Metastock formula that will let you know without fail how to make a profitable trade every time. So, now that you’re aware of MetaStock’s power, don’t get sidetracked by the idea that a Holy Grail may exist. The reality is that MetaStock, or any charting software for that matter, is simply a tool to be used. When MetaStock is used to its full capacity, it can be an amazingly effective tool. But remember, that’s all it is – a tool. Our message here, therefore, is that you should put MetaStock into perspective with all of the other determinants of your trading success. Regardless of how effective Metastock may be for you, it is just one part of a successful trading plan. Thank you for your assistance in solving a frustrating problem in writing a new EXPERT for MetaStock. Your suggestion of combining (BarsSince and reference) to look back at an event that has occurred without using (CROSS) and being able to trigger only one (BUY) signal has worked extremely well. There is little help available in this detailed area of EXPERT writing from Metastock manuals and tutorials.